Cannubi is probably one of the most complex and fascinating area cru Barolo. With its strategic location, this hill gathers in harmony deep and compact soils of the Elveziano side of the Barolo area (Sandstone of Diano D’Alba and clay with lime content) represented by the municipalities of Monforte d’Alba, Castiglione Falletto, Serralunga d’Alba and the most delicate and soft elements of the Tortoniano component (Marl of Sant’Agata Fossil) found in the village of La Morra and Verduno. The uniqueness of this vineyard is gathered in the unique union of the two main sides of the area of Barolo (Elveziano and Tortoniano) principally made of thin sand and limestone which combined with the microclimatic conditions and the exposure lend the wine fullness, elegance, delicacy and longevity. Cannubi is probably one of the most historic vineyards of our territory. The name Cannubi was already present in some documents since 1700. The most ancient bottle found on Langhe hills had on its label “Cannubi 1752”. These proves show the historical significance of Cannubi vineyard, already known as one of the most precious vineyards in that area. Producers and farmers at that time identified the toponym Cannubi with a small piece of land, from which they would produce valued and high quality grapes (even during hard times, eventually) that were then labeled as Cannubio and/or Cannubi. Serio Borgogno was used to say “this is my vineyard, the Vineyard of Gourat”. In the past, Cane Vineyard, named after the ancient owner’s last name, later called Grossa vineyard, since it was the vastest one. Gourat, was actually the family’s nickname, inherited from Serio’s grandma because of her charm and her strength.The Gourat is the type of wood (willow) used to bind the vine. In the past, there was a row of willows along this vineyard. The vineyard that normally has intense fragrances, precocious maturation and fullness to the wine. Named after Battista Borgogno, who loved to spend his days in this vineyard. Connecting with nature was to him a real cure, the place where he really felt at home. This is why this vineyard has his name. The vineyard that has the best harmony and balance, and gives the wines elegance, delicacy and complexity all in once. Both Battista and Serio loved to call it like that, in honor of the new generations, with the hope that these ones had the same passion and determination in preserving their vineyards. The vineyard that usually brings freshness, structure and acidity at the same time. 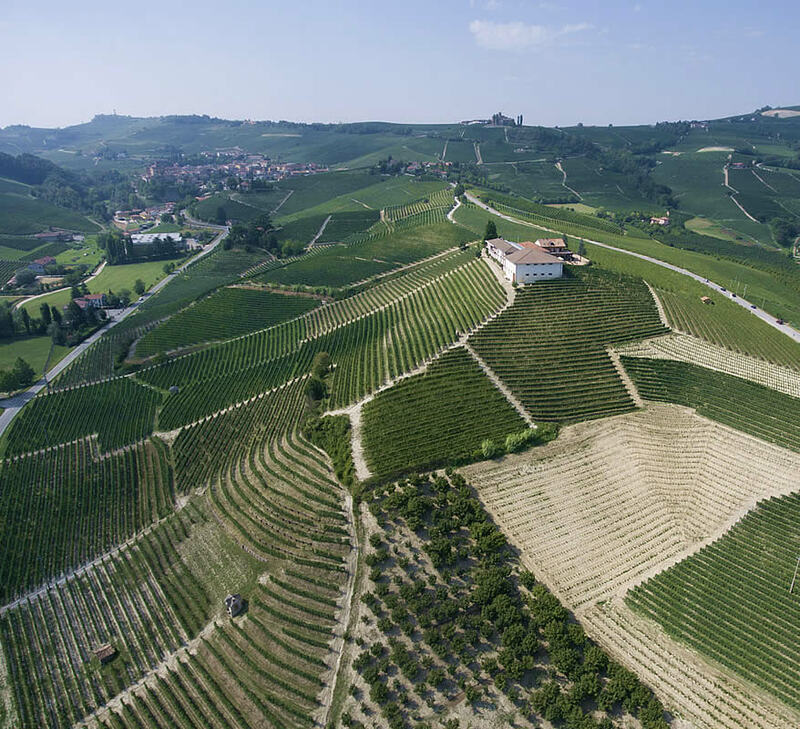 Our Barolo Cannubi comes from our three vineyards located on the top of Cannubi hill, which go through different types of vinification, eventually vinificated in separate wooden vat. Each year we pick the individual vineyards by hand, and we keeping the grapes separate, if possible, until the end of the alcoholic fermentation. Before storing the wines in the large oak barrels for aging, depending on the weather conditions of that year, and the quality of the grapes, we decide whether to keep the three vineyards separate or put them together, or partially mix them. Same time, we choose a singular vineyard to use for our Barolo Cannubi Riserva, in the best vintages. So, each year, wine surprises us with different and unique tones. Barolo Cannubi, even though it is long lasting, at the same time it is also ready-to-drink kind of wine that can surprise you even during the very first years after bottling. The characteristics that distinguish it the most are the elegance and the delicacy. The impetuousness and the abundance of the structure are not some of the characteristics of Barolo Cannubi; prevails, instead, the harmony that gets completed with an austere tannin but elegant and soft at the same time. Pleasantly complex because of its different tones of flavors and fragrances.